Uncontested Divorce in North Carolina - The Hart Law Firm, P.A. 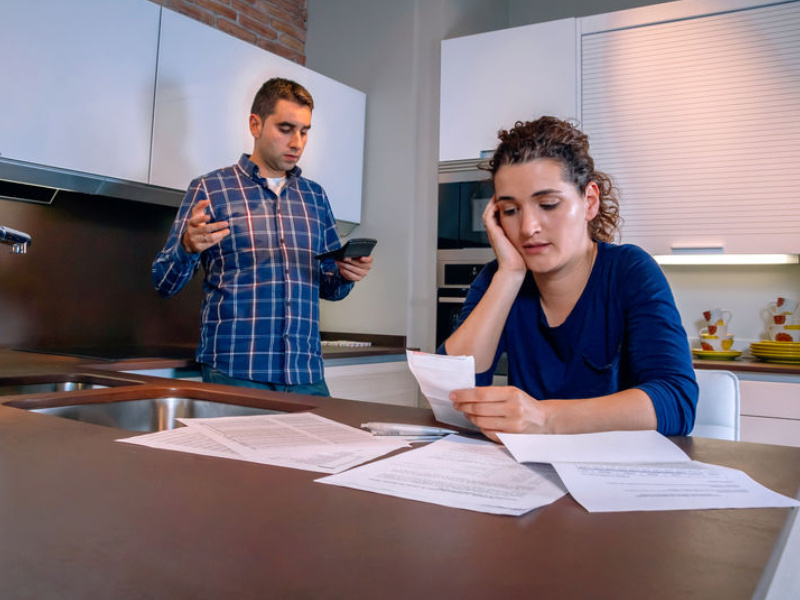 Most people who are considering a legal separation or divorce in North Carolina have no interest in dragging the process out for months or perhaps even years. An uncontested divorce is a divorce where both you and your spouse agree on all issues, such as alimony, custody, child support, and property distribution. By agreeing to these issues ahead of time and executing an uncontested separation agreement, you can avoid prolonged negotiations, expensive legal fees, and unnecessary court battles. When you and your spouse agree that fighting over property or support payments is not the route you want to take in your divorce, you are making a choice to end your relationship with dignity and on friendly terms. If you have children, it becomes even more important to attempt to resolve your divorce in a civilized and non-contentious way. Your children can see how you and your spouse act and will mirror that behavior later in life, whether subconsciously or not. Pursuing an uncontested divorce is the best gift you can give them in the unfortunate situation where you can no longer stay together as a married couple. Just because a divorce is uncontested does not necessarily mean it will be easy or that it won’t involve all of the other issues that a normal divorce would entail. Typically, an uncontested divorce occurs where both spouses understand that it would cost them more money to litigate a divorce than either one of them wants to spend. Even though an uncontested divorce has the potential to be easier and less expensive than a regular divorce, that doesn’t mean that the client can just come into a lawyers office, talk to the lawyer for an hour or so to tell them what happened, and them come back in a week or two to sign the “divorce papers”. Unfortunately, even where there is an uncontested divorce, the clients will have to do some homework ahead of time. In order to pursue an uncontested divorce, you will need to do a bit of legwork ahead of time to make sure that this process will work for you and your spouse. Are you aware of all the marital property and financial assets that were accumulated during your marriage? Do you and your spouse have an agreement as to how you will divide up the property? (If you answer yes to the above) Are you aware of your spouse’s total income? Are you and your spouse in agreement as to the amount and duration of alimony that must be paid? If you have children, have you agreed to a custody schedule that works for both you and your spouse AND the children? Do you and your spouse have an agreement on how to divide up the expenses related to the children, and or, an amount that will be paid as child support? Are you and your spouse on speaking terms? Do you feel comfortable negotiating a legal separation with your spouse? And finally, there should not have been a history of mental or physical abuse in your marriage. First, you must understand that an uncontested divorce is probably not the best term for this process. In North Carolina, we are really talking about an uncontested separation agreement. Almost every divorce in North Carolina is uncontested, as it is a mere formality after all other issues have been resolved and you and your spouse have been separated for one year. Here is a quick overview of how this process works when you hire our law firm to help you. Call our office to let us know you are interested in preparing an uncontested separation agreement. We will schedule you for an initial assessment to confirm that this is the proper process for you and make sure you have through through all the issues that require resolution. We will meet with you to review your goals and proposed agreement. An attorney will ask you specific questions about what you are trying to do and make sure we can help you. At the conclusion of this meeting, we will discuss fees. Depending on how detailed your separation agreement is, the cost will vary from $1,250 to $2,500. After you have retained our firm, we will begin working on your agreement. In certain situations, we may need additional information from you. However, in most cases we will have an initial draft of your agreement done within two (2) weeks. We will share a copy of your initial agreement with you via a secure online client portal. You can review and comment on the agreement. Throughout the process, you are entitled to unlimited phone and email access to ask questions and review your agreement. After your agreement has been finalized, we will coordinate sending a copy to your spouse or their attorney for review. In most uncontested situations, our clients are sharing the initial drafts with their spouses so there is no confusion about what the agreement contains. You and your spouse will sign the agreement in front of a notary. You will separate, if you haven’t already. One year after the date of separation, we will help you to file for absolute divorce. Please contact Hart Family Law at (919) 883-4861 if you have any questions about this process, or to schedule your divorce consultation. If you are ready to take the next step and move forward with an uncontested divorce, click the button below to send us your contact information and a representative of our office will be in touch within 24 hours. Alternatively, you may call us at (919) 883-4861 for immediate assistance.